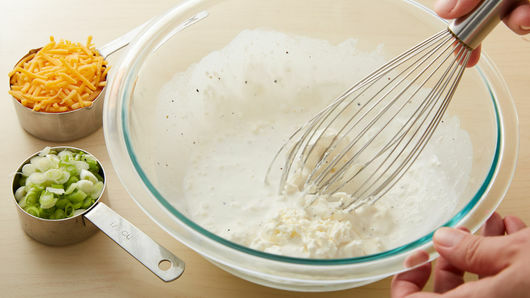 Uncover, and top with remaining cheese; bake 3 to 5 minutes or until cheese is melted. Sprinkle with reserved green onions. 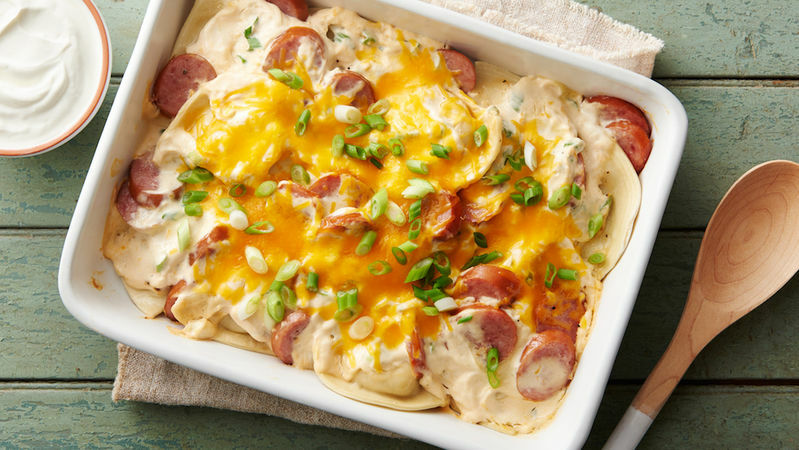 To reduce calories in the dish, you can use turkey kielbasa and reduced fat cream cheese and sour cream. 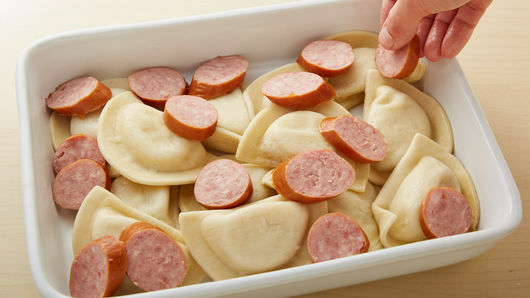 Pierogies are filled dumplings of East European origin filled with potato, meat, cheese or vegetables. 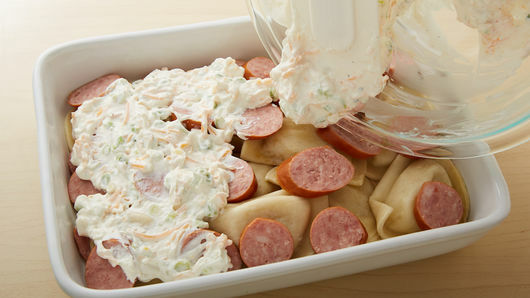 This recipe uses frozen pierogies that are really easy to use.